It's true when I say that Club Med has been one of our dream holiday destinations for quite some time ever since we were staying in Europe. We love the idea of an all-inclusive holiday which involves fun activities, late night parties, live shows and free flow of food and drinks all day long. If you are in any way like us, you have to read on to find out more about Club Med. At that time, Angel was still a needy toddler at that time and we were well aware that she would want to stay by our side 24/7, so we thought it would be better to wait until she grew old enough to join the Mini Club. Fast forward to three years later, she is now promoted to a big sister and is celebrating her 5th birthday this month. 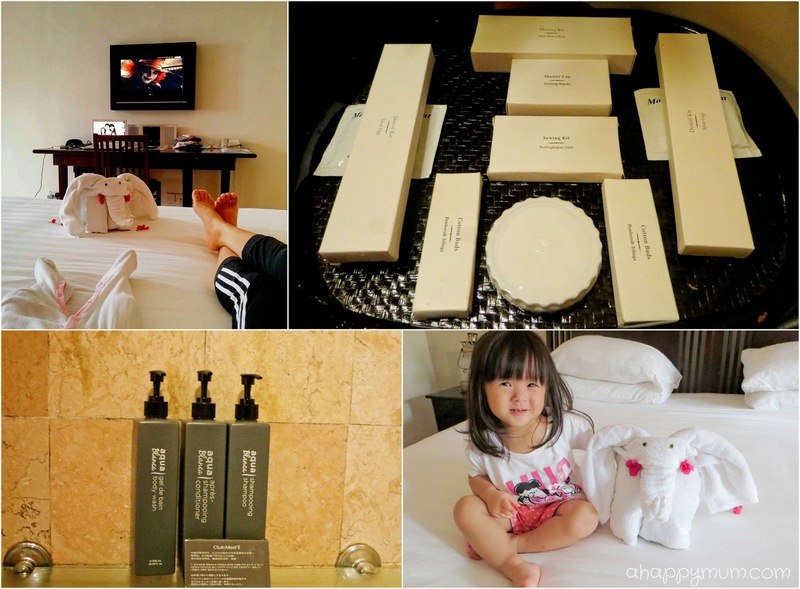 So when Club Med offered to sponsor our family a stay in Club Med Bintan Island, I thanked my lucky stars for a dream come true and I knew this would be one of her best birthday gifts ever. 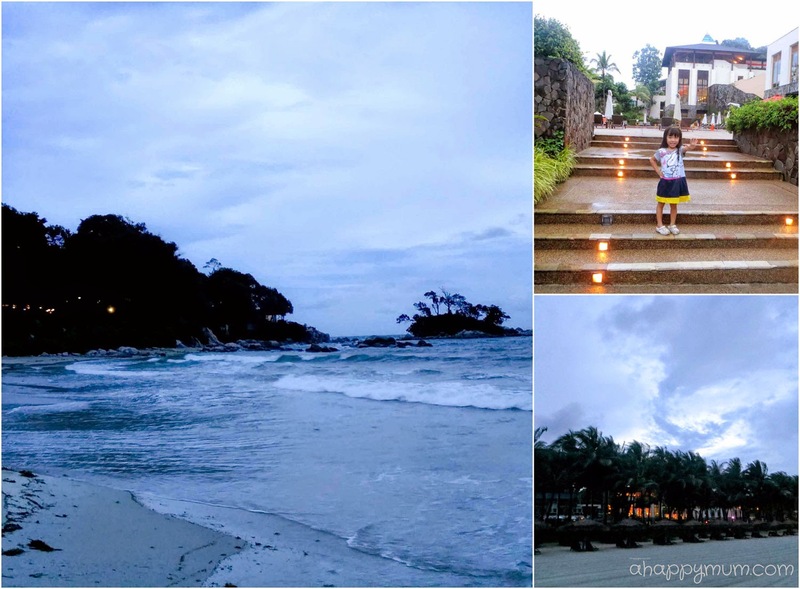 Today, I'm sharing with you Part 1 of our experience in Club Med Bintan (named as the “Top Resort for Families in Asia" by Trip Advisor) and why it can be said as a true holiday paradise. Just a 50-minute ferry ride away, Bintan is one of the places where you can easily plan for a quick and spontaneous family getaway. From the ferry terminal, it takes only 15 minutes to get to Club Med by shuttle service. Even though we arrived on a wet afternoon, our spirits were not dampened in the least and in fact, we couldn't wait for the holiday to begin! Besides the cosy ambience of the lobby and beautiful view overlooking the pool, what greeted and touched our hearts was the warm welcome given by the Gentil Organisateurs (GOs), who clapped, cheered, waved and gave friendly smiles the moment we alighted the bus. The staff took time to make a brief introduction and get to know the children, which helped the little ones to settle down and ease into the new environment. Every family also had an allocated GO to bring us to our room and answer any query we might have. What I found quite intriguing, and a tad inconvenient, was that because of the sheer size of the resort, with 311 rooms divided into small 3-storey buildings, for the rooms which are further away, it might not be totally sheltered to get there from the main building. Thus, you never know when you might get wet and that is why umbrellas are provided in all the rooms. 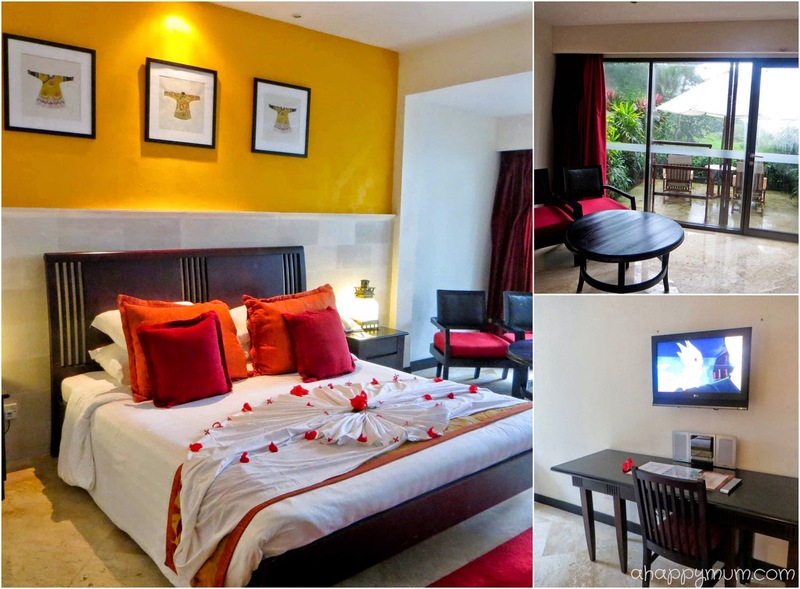 I'm sure you agree with me that a comfortable room makes for a pleasant holiday. Having visited countries with hotel rooms where it gets really cramped and you can barely open up the luggage, it was a relief to know that when you visit Club Med as a family, you get not one, but two connecting rooms so that there is an abundance of space for the kids to run around and everyone is as comfy as can be. We stayed in a Superior Seaview Connecting Room and the setup was similar in both rooms except that one had a queen bed while the other had twin beds. 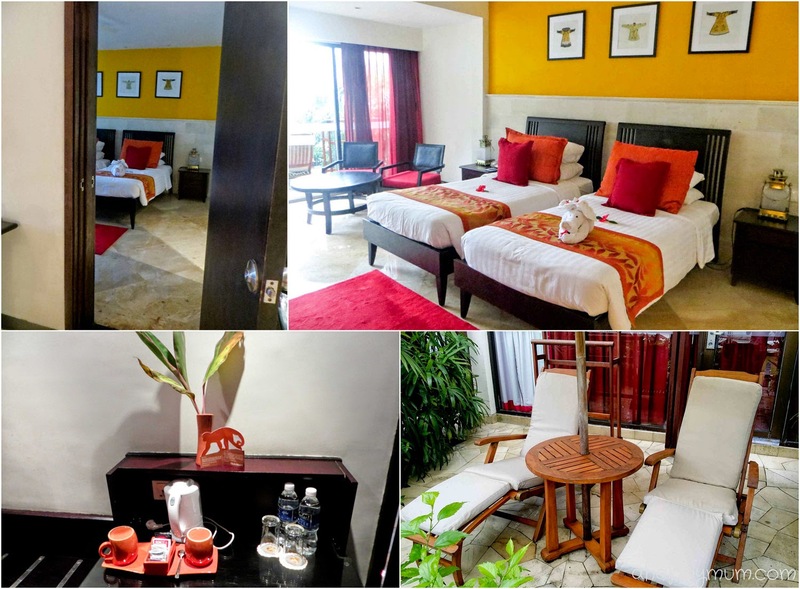 I personally loved the warm look created by the wooden furniture coupled with the yellow walls, picture frames, woven bedlinen and personal touches by the housekeeping staff, including the towel animals that never fail to bring a smile to our faces. 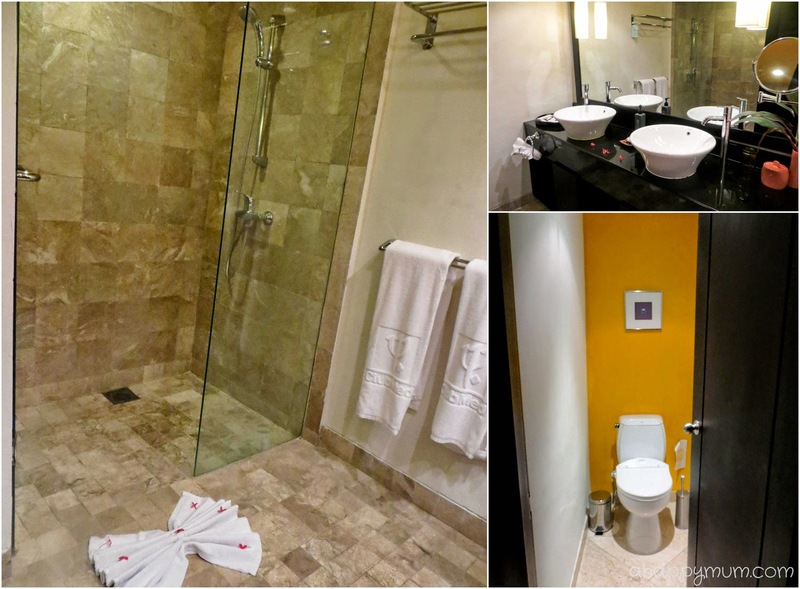 Another thing unique about the room design is that in every room, the bathroom comes separate from the toilet. Well, that means you can take a dump in absolute peace but it also means you have to exit the toilet and enter the bathroom to wash your hands. One thing I wished for was a lower sink in the kids room or at least a stepping stool because I realised that even the big sister was unable to turn on the tap herself because it was too high up. Also, I was impressed by the neat, and big, bottles of toiletries - including conditioning shampoo and body wash, found in the bathroom. Other than the full range of shower caps, dental kits, sewing kits and shaving kits, there were even mosquito repellants provided. Soon enough, I understood why - the mosquitoes were aplenty and the kids came back home with bites despite all the repellant. Well, that's the thing about visiting a beach resort, so do take extra precaution if you are there. Had it not been raining almost the whole time we were in the room, I would have loved to sit at the balcony to enjoy the sea view and lush greenery while sipping on a cup of tea. One thing you have to note is that although it is said that there is WiFi in every room, it gets significantly weaker the further you are away from the main building. 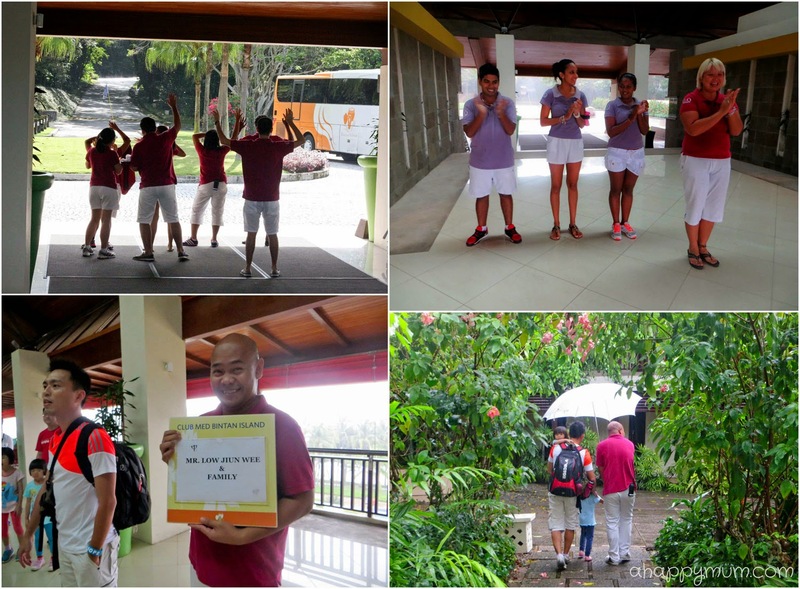 In fact, we decided to request for a room change because firstly, it was quite far for the kids to walk to the main building especially on a rainy day and secondly, we couldn't get a WiFi signal at all. The reception manager told us that a thunderstorm could interfere with the WiFi reception and also explained that some families preferred to stay further away from the main building because of the noise level at night. Well, he obviously had no idea what time my kids sleep and how we can never say no to a good late night party, so we chose to move nearer to the main building for the WiFi and convenience sake. Note that you can find the ID and Password to the WiFi on your room key booklet which you will have to use every single time you wish to connect. A visit to a resort like Club Med is never complete without a dip in the water, be it in the swimming pool or the sea. I can't say my kids are water babies at this point but there is no doubt that they absolutely love to get wet, splash around and just have a good time. For the main swimming pool located just outside the main building, it is at least 1-metre deep so do arm the smaller kids with floats. Or, there is also a kids pool located in the Mini Club on level 4 which is 0.6-metre deep. 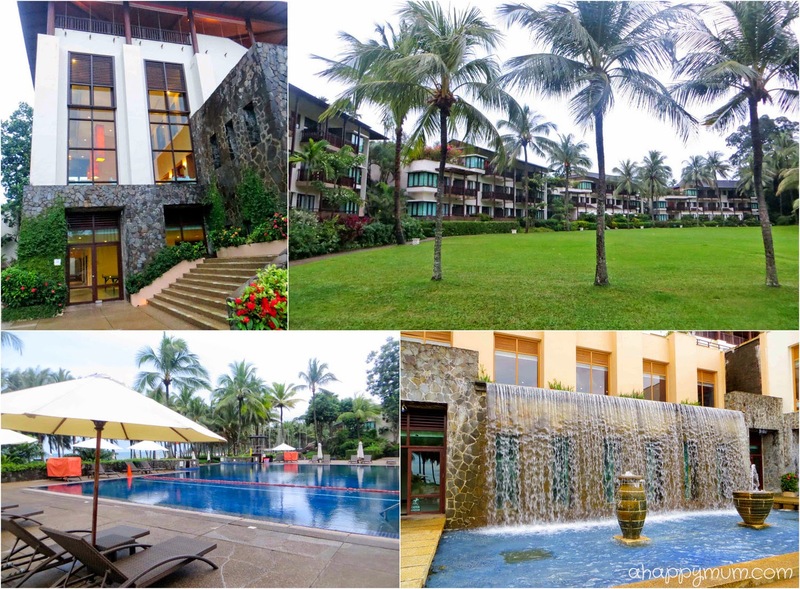 For me, I prefer to stay in the main pool where you can see the cascading waterfall, sit back and relax while sipping on your favourite cocktail. For the beach lovers, you will be thrilled to know that Club Med Bintan Island has a beach that stretches for 8500 feet of fine white sand. Although it is open to public, it can only be reached from the resort so in a sense, it does feel like having a private beach. We were there just after the rain stopped on our first day and were the only ones admiring the blue skies, feeling the sea breeze and enjoying the gentle sound of the waves, which felt somewhat surreal but heavenly. Equipped with deckchairs, parasols, showers and a bar, the beach can be said as an escape paradise and a peaceful little haven. Unlike in HARRIS Batam where the girls had fun hunting for crabs and mudskippers, here in Club Med Bintan Island, they got to enjoy the beach for what it is - clear waters and soft sand. I'll be showcasing more pictures of the beach in the second post, so stay tuned for that. 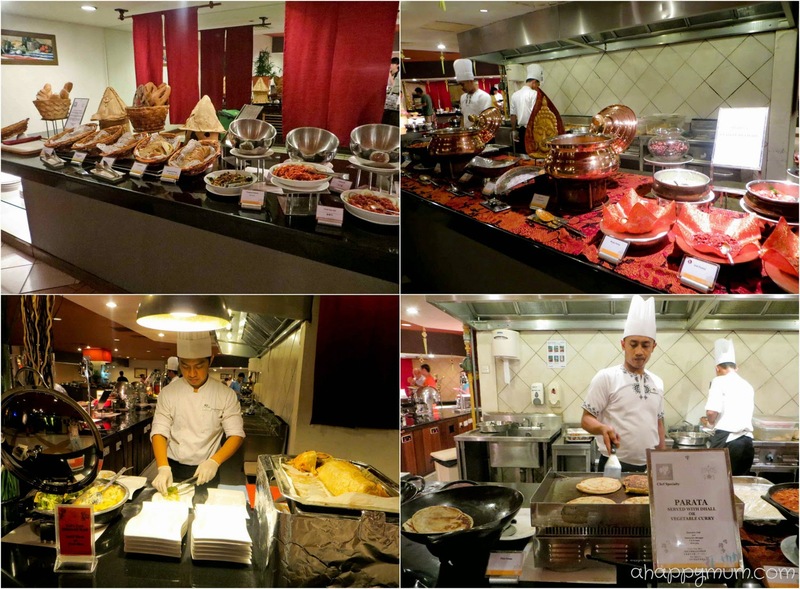 Now, wouldn't it be awesome if you get to eat like kings and queens on your holiday? The good thing about the all-inclusive package at Club Med is that you literally get to eat and drink as you please. 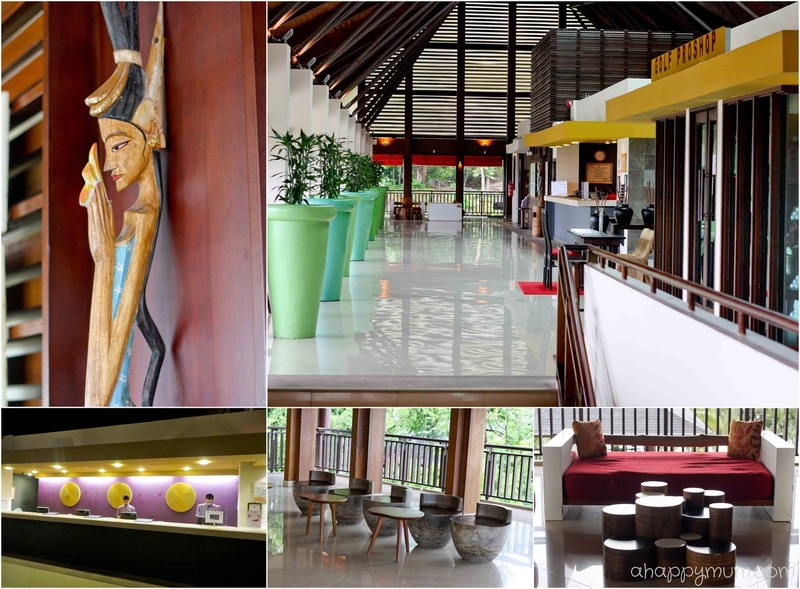 With two restaurants and four bars in Club Med Bintan Island, you'll be spoilt for choice! Sitting on the water's edge, this restaurant provides a breathtaking view of the South China Sea. 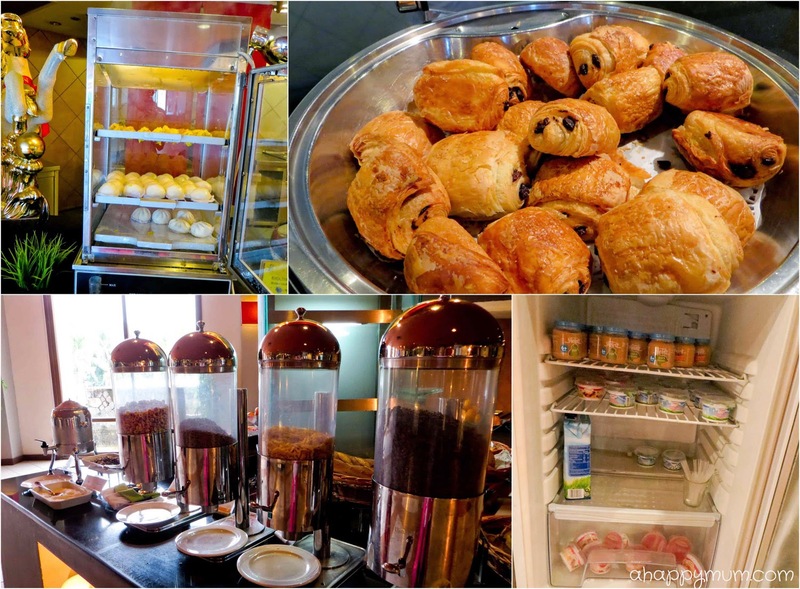 It welcomes you for a late breakfast from 10:00-11:00am or à la carte lunch from 2:00-5:30pm. Don't forget to bring your umbrellas as you have to make your way in the open to get here. On our first day, we arrived past three in the afternoon and were glad that we managed to grab an afternoon snack here. We tried the Grilled New Zealand Steak and Fish Fillet while the kids were contented with hotdogs, nuggets and fries. Though it wasn't mind-blowing, I have to say the food tasted much better than what I had initially expected. Do note that for dinner at The Terrace, reservation has to be made and is subject to opening days and availability. 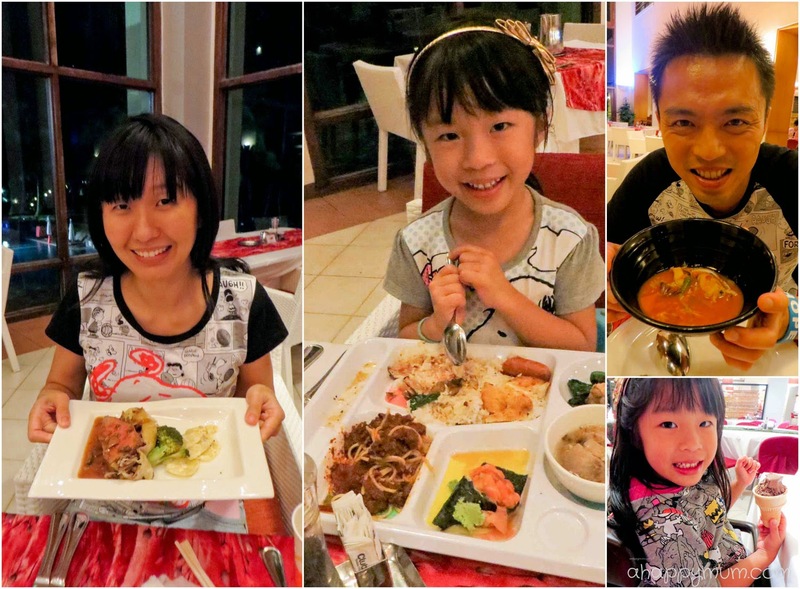 I think having a hearty meal with your family is definitely one of the best ways to enjoy a holiday, don't you agree? 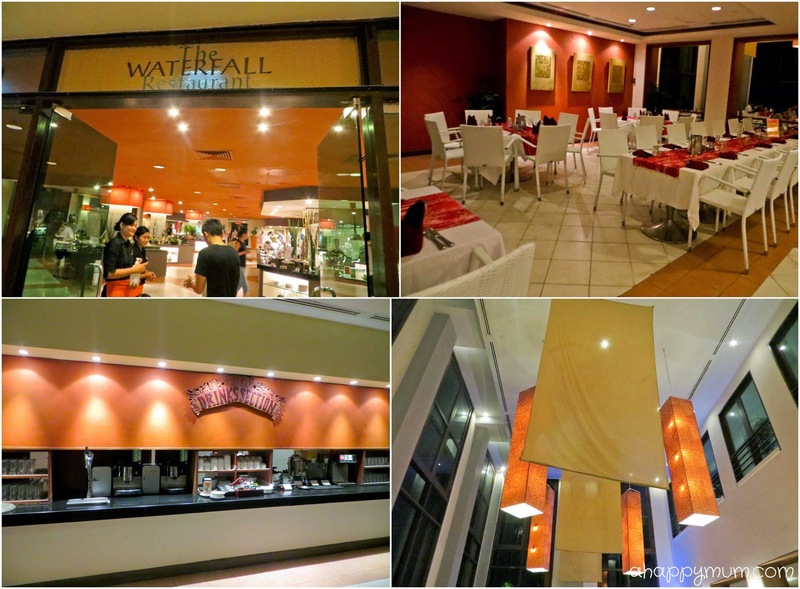 Coming to the main restaurant, The Waterfall is located on the second level of the main building and it offers a wide selection of international cuisine buffets. The spacious restaurant comes with a high ceiling and glass windows so you can enjoy the sea view in the day. There is also a drinks section where you and your kids can feel free to dispense or make any drink you like. For breakfast, lunch and dinner, they are served in buffet style and with the wide array of food to choose from, you never need to worry about fussy kids. We even managed to find buns and siew mais, much to the hubby's delight. If you have a baby, good news is that they have a fridge stored with baby jar food and yoghurt too! 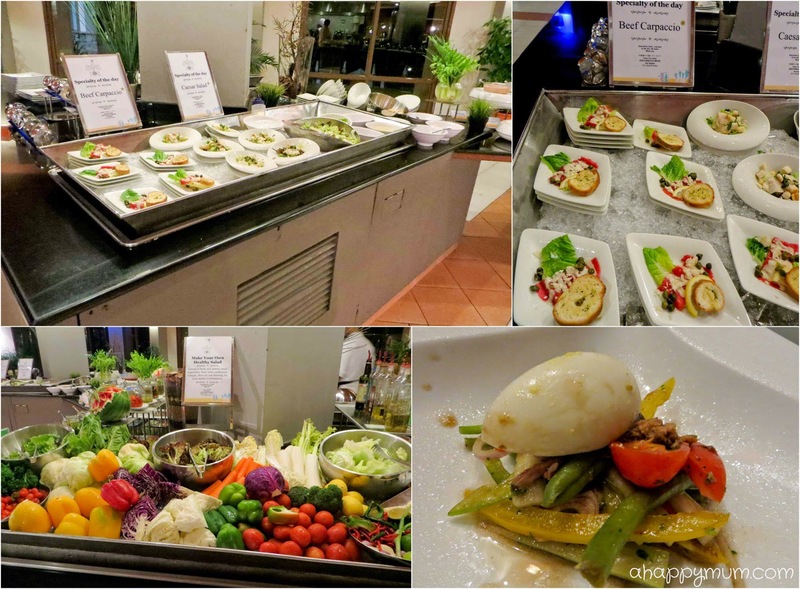 One thing I like about Waterfall is that the chefs make efforts to come up with new menus every day of the week and there is even a theme for the buffet dinner, for instance "Red" and "Asian". There was so much food in our sight at every meal that we always took some time to think about what we wanted to eat. 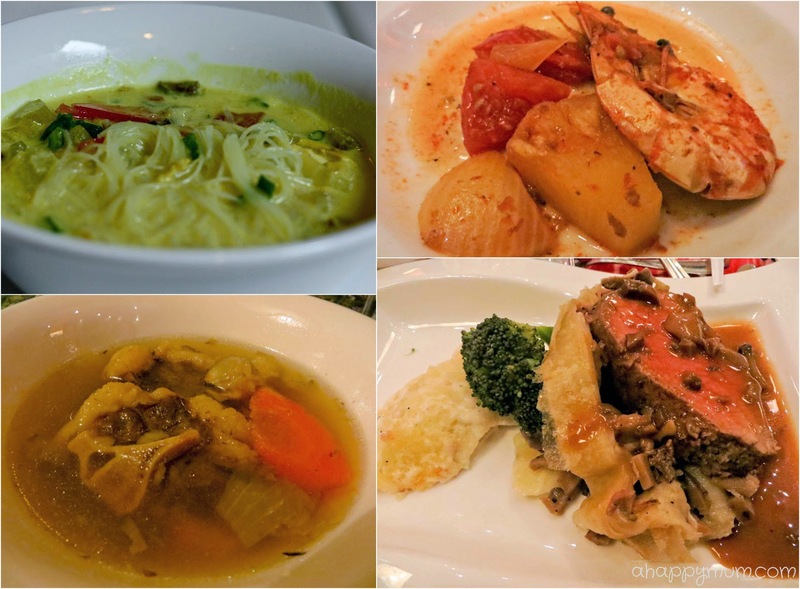 Japanese, Western, Korean, Chinese, Indian, we tried a bit of everything. On my first night, I had a Beef Wellington in Mushroom Sauce (along with others like Oxtail Soup and Katsu Curry) and oh my, it was really delicious! For the health conscious, there is this fascinating salad corner where you get to pick out vegetables and cut them up on the spot to make your own bowl of fresh salad. If you are daring enough, you might also like to try the beef carpaccio which looked just too raw for my liking. 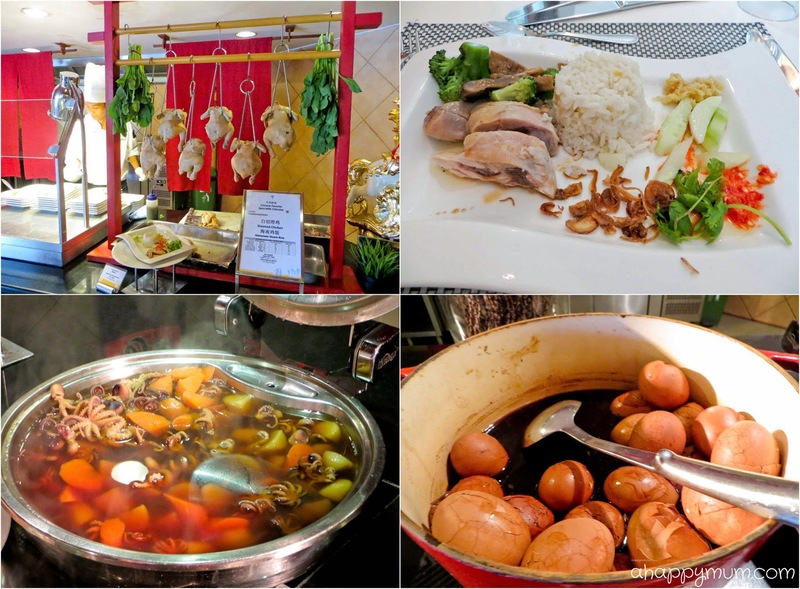 At lunch one day, I was amazed to see that they had a Hainanese chicken rice store set up, which greatly delighted the Singaporean aunties and uncles who were craving for a taste of home. Look, I also found an interesting octopus and ginger stew and it was also the first time I saw Chinese Tea Leaf Eggs being served at a buffet! In addition to the clearly marked labels, there were also food sample displays to give us a better illustration of what was being offered. 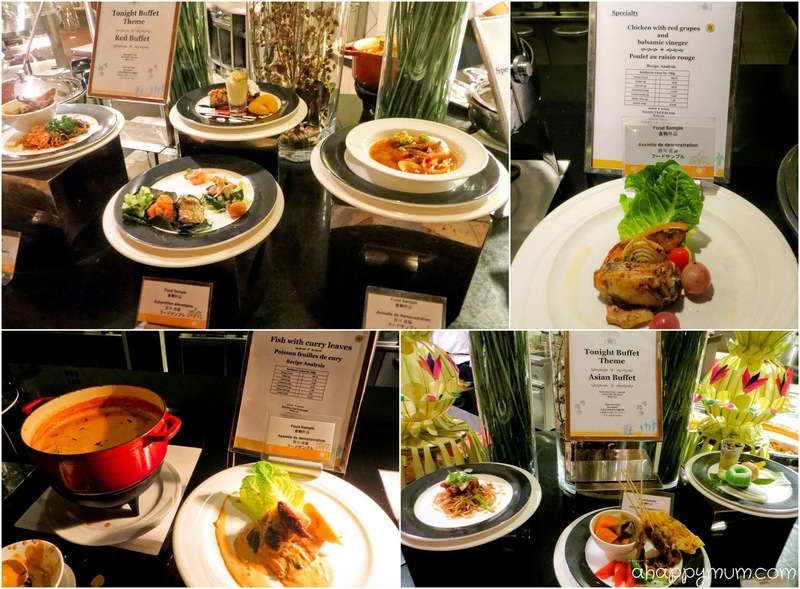 For the specialty dishes, there was also a detailed recipe analysis which provided the nutritional values, including the cholesterol level. 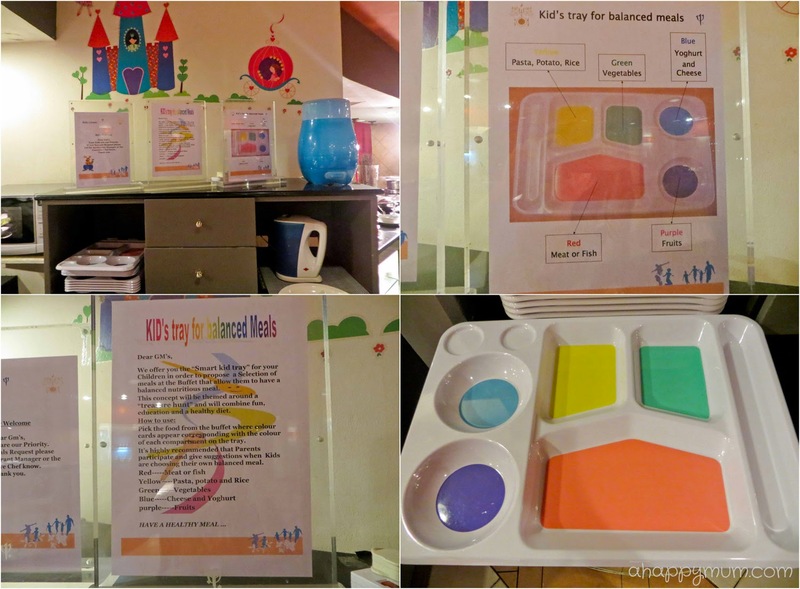 Something which I found quite helpful was the Smart Kid's Tray which aimed to combine fun and a balanced diet. Kids could go around picking out different food and after matching the coloured cards on the buffet table, place them in the corresponding tray compartments. Definitely an ingenious way to encourage the little ones to eat healthily! 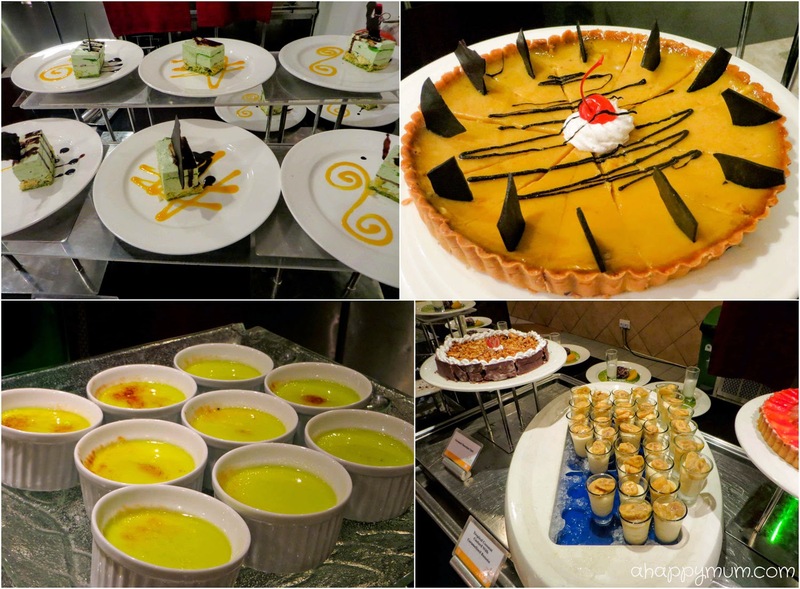 When it came to dessert, there was also a different variety to choose from at every meal. My favourite was the Pandan Crème Brûlée while the kids simply loved the..... ice cream, of course! 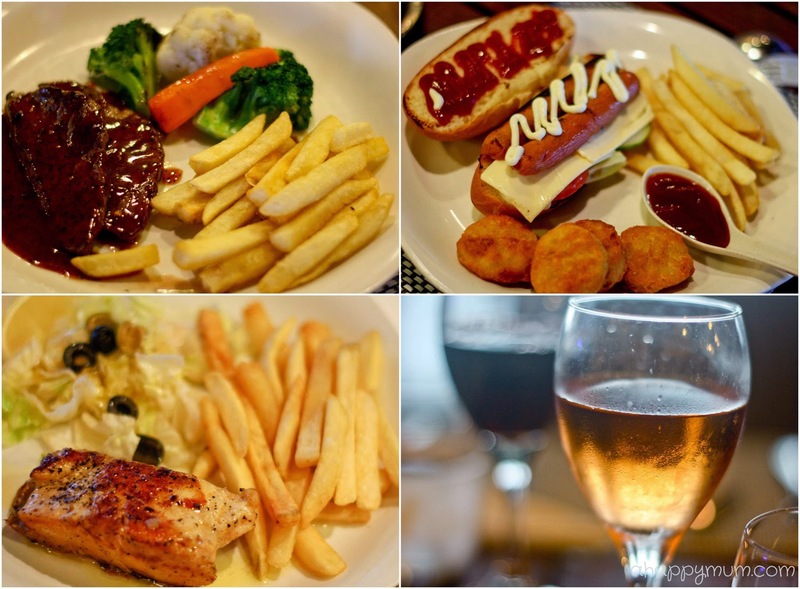 I have to tell you that we are not food connoisseurs, in fact, the hubby and I are the type of people who are usually quite contented with our food and rarely complain so long as our stomachs are filled. That explains why I seldom blog about food but is also the underlying reason that makes us very happy people when we go on cruises or holidays like this. 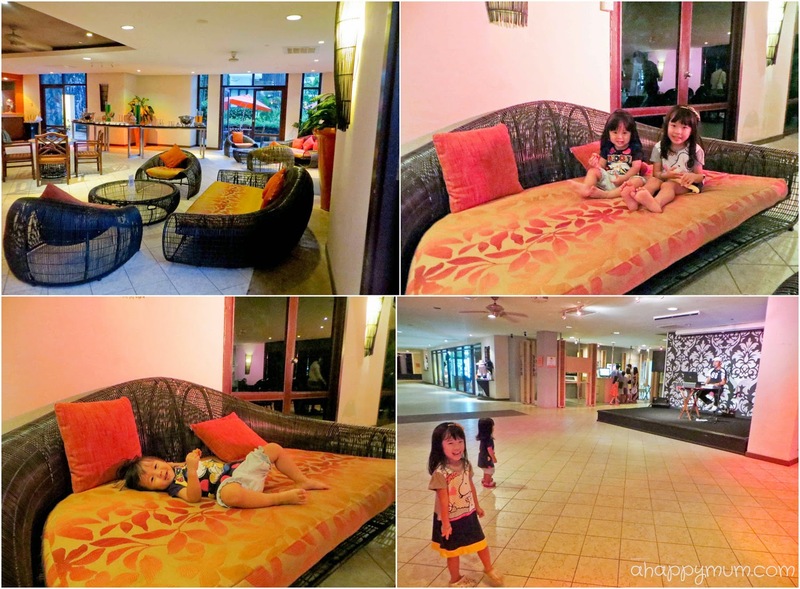 This was one of our favourite hangouts in Club Med Bintan and where we spent most of our time relaxing and chilling out. Located on the first floor of the main building, the Santai Bar is the main bar and comes with sophisticated decor, comfortable seats and a homely ambience. The girls were in love with the huge dance floor and they totally enjoyed the live singing every night. In fact, they were hailed as the "dancing queens" and made a name for themselves on the very first night, even the Chef de Village and all the GOs knew their names by heart. It wasn't because they could really boogie, but because they were the only young ones who stayed till the end of the party and kept on dancing for hours. Now, that is really something. 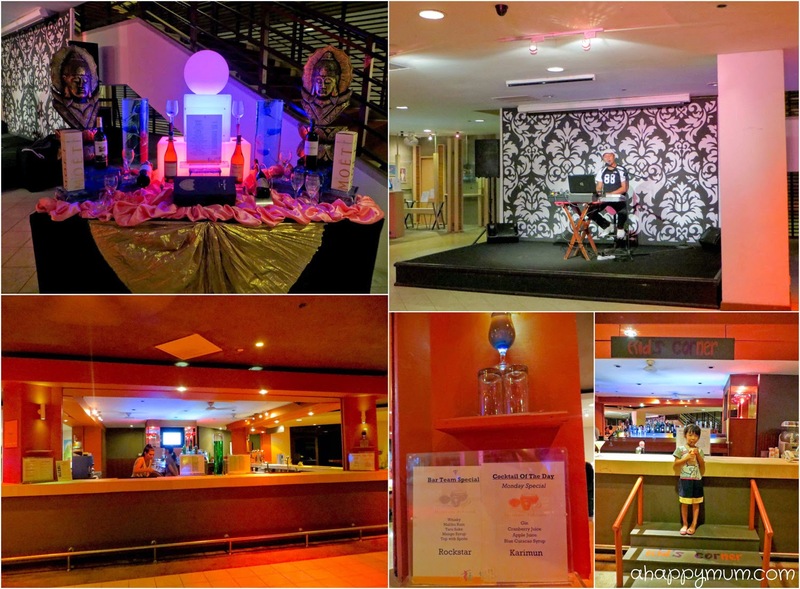 I'll tell you more about it and show you the famous Club Med Crazy Signs dance in the second post! In case you don't realise yet, the all-inclusive package also means that you get a free flow of booze or anything you like (just not champagne, VSOP or some premium brands which might come at an extra cost)! Sodas, fruit juice, hot drinks (coffee, tea, herbal teas, hot chocolate, cappuccino), local and international spirits, wines, alcoholic and non-alcoholic cocktails, local specialties - you name it, you get it. The hubby was just thrilled to get beer after beer while my favourite was the Apple Martini. 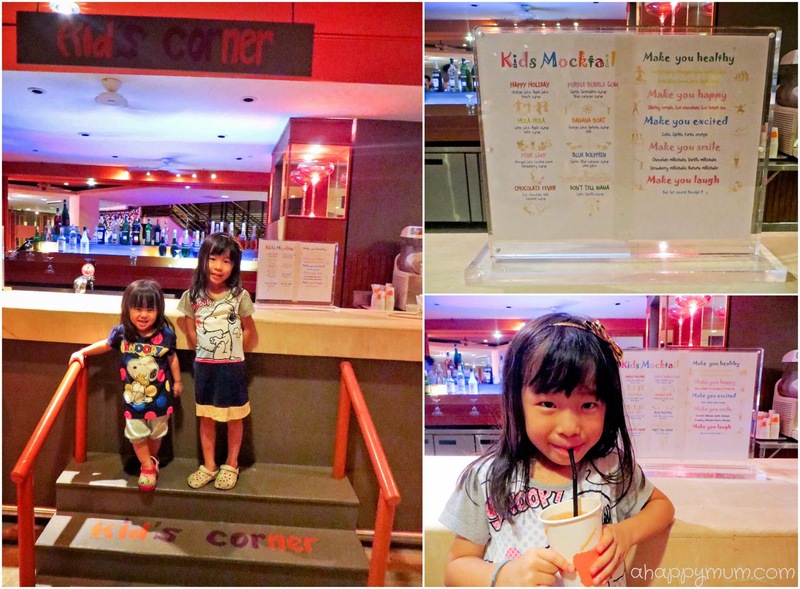 Wait, check this out, there is even a Kid's Corner at the bar where the young ones get to order their own juices or mocktails, how cool is that? Angel was a little apprehensive and scared at first to order her own drink but once she got the hang of it, she was happy to try out the mocktails and even got Ariel to join in the slurping too! For good or bad, we are undeniably a family of night owls and so it really thrills us to know that there are late night parties every day in Club Med. Booze, music, dancing, friendly folks, casual atmosphere, happy mood, and my loved ones enjoying themselves right beside me - it can't get anymore perfect than that. 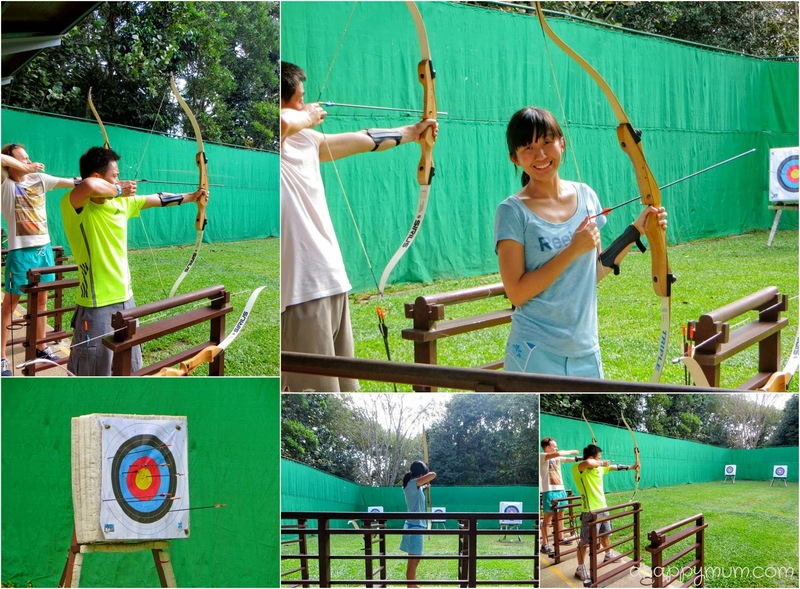 Archery, golf, windsurfing, sailing, kayaking, mountain biking, water polo, badminton, tennis, squash, beach volleyball, circus activities - these are just some of the many activities included for the whole family when you visit Club Med Bintan. The only activities that you might need to fork out extra cost are the cookery classes and spa sessions. You can also pay to go out on excursions for instance elephant riding or firefly tours. For the water sports, do note that during bad weather, they might be shut down and so it really depends on your luck when you are here, especially if you visit during the monsoon season. Being a softball pitcher and darts player previously, I kind of dig any sports that require a good aim and so I was really excited to try out archery. Did I hit the yellow spot? Yes, once! Out of, erm, maybe 20 tries? Nonetheless, it was a fun first experience for me and I was glad the hubby and I managed to fork out half an hour to do this before we departed. The kids? Well, they were happily watching and taking pictures for us! Do note that there are many mosquitoes in this part of the Fitness Centre so once again, you really need that repellant! The Flying Trapeze School with the circus activities is one of the highlights at Club Med where many kids and adults get to experience this sport for the first time. I was very much looking forward to this and even though we didn't manage to take it outdoors due to the rain, the hubby and I instead tried out the trapeze indoors and managed to achieve three different tricks - Knee Hang, Bird's Nest and Split, which we might not have done so if we did the outdoor one. We were told it was harder to perform tricks on this stationary trapeze because you had to swing your legs back and forth to create your own momentum to lift yourself up, so we were glad we both managed to do it. And guess what, we were the only ones game enough to do it that day and were each given a mini showcase opportunity where we performed the three tricks consecutively (yes, no resting!) before the audience. Yippee! That was surely a memorable achievement for both of us! Besides the open sports and activities, there are also daily programs lined up for the guests and the event schedule can be found on the first floor of the main building. 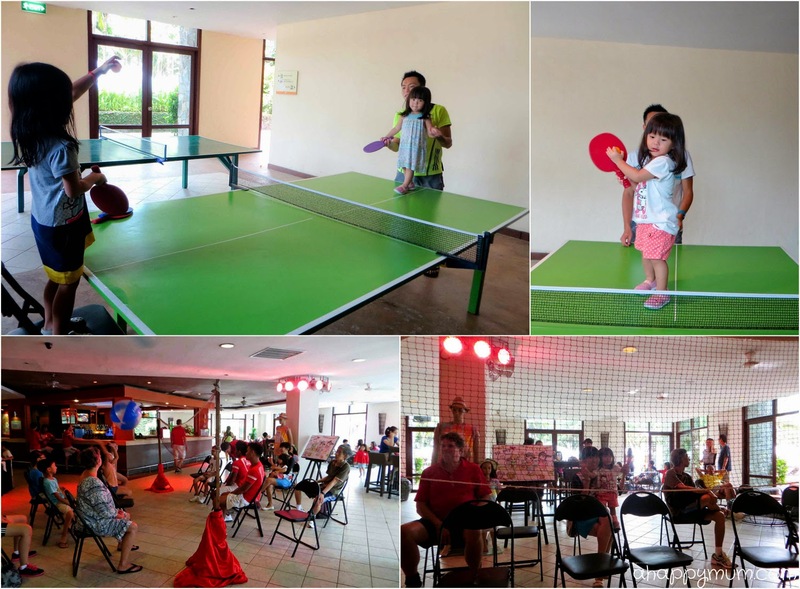 They include sports tournaments, yoga, aerobic classes and even beach BBQ! In case of bad weather, there is also a "Rain Chaser" program that takes place instead of the usual one so be sure you don't get confused. A highlight of the evening would be the theatre shows which are put up by the hardworking and talented GOs. The two shows we watched were "Sports Comedy" and "Multi-Cultural Show" - the first was a hilarious parody while the second was a combination of dance, circus acts and comedy. 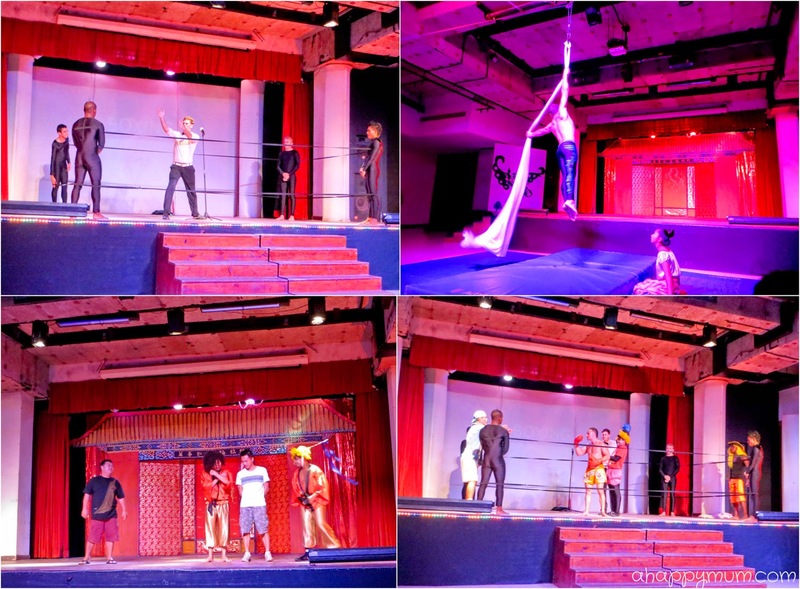 What I appreciated was that instead of catering solely to the likes of the kids, these performances strove to keep the whole family entertained and I have to say all of us enjoyed the shows very much. On the first night, when the staff and GOs were being introduced, one of them beckoned Ariel to go over who surprisingly obliged and started walking to the stage. With all eyes on her, she stood in line with the team and of course, her height made her stand out and that was part of the reason why everyone knew her from that moment on. On the second night, when the comedians came down to grab two members of the audience to help them in their act, who should go up but the hubby who seemed to have a knack for being chosen at this kind of thing. Yes, not the first time! Still, kudos to him for being so spontaneous and for putting up a good show on stage! For a good part of the show, the two sisters sat side by side, held hands and leaned against each other. We even saw Angel patting and whispering to the little sister and when we asked her what she said, she replied "I told meimei what was happening in the show and told her not to be scared." Sweet, right? Last but not least, we were very lucky that our stay coincided with the passing on of the Chef de Village at Club Med Bintan Island. 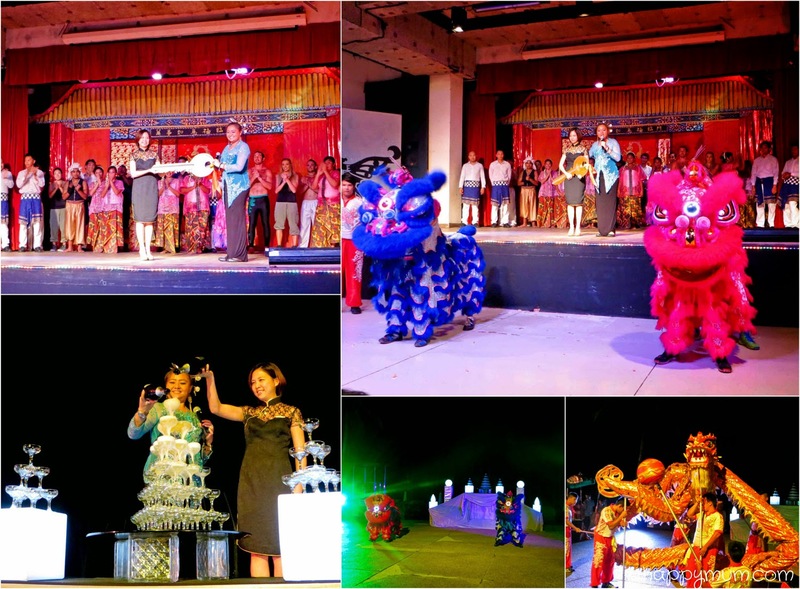 There was a grand ceremony to celebrate this milestone which saw the key being passed on from one Asian to another for the first time, and to mark this auspicious and joyous event, there were even lion dance and dragon dance performances too! That totally awed the little ones and made the evening such a festive and merry one! So, we ended our final night with this beautiful display of fireworks. How awesome, right? Wait, that was before the party started and before our kids went on stage by request of the Chef de Village to lead everyone to dance. I'll tell you more on that in the second post and will also share about the fun activities Angel did in the Mini Club, so do stay tuned for more exciting updates! MAKING A DREAM HOLIDAY COME TRUE! 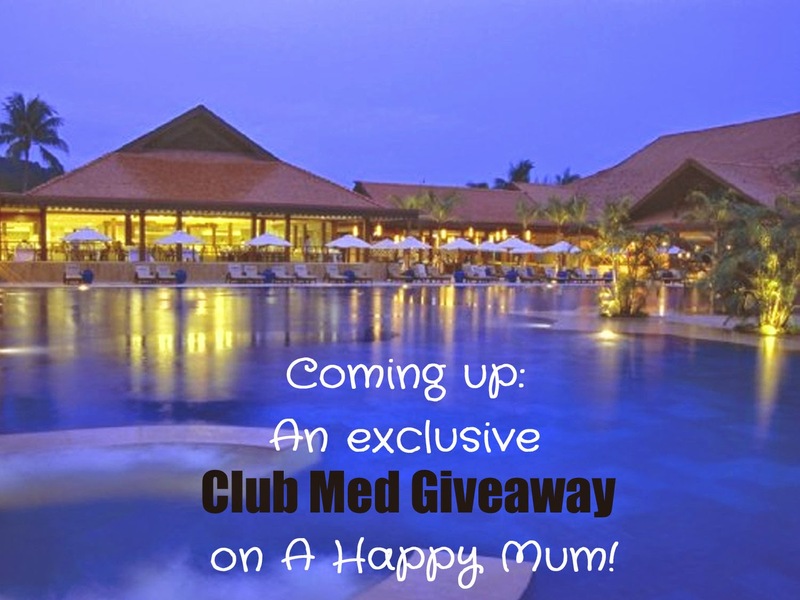 I'm thrilled to share that I'll be giving away a resort-only stay (worth S$1,664) in the first ever Club Med in Asia! Leave a comment if you know where that is and don't forget to watch this space for the second post so you can participate and stand a chance of winning a dream holiday for your family too! The second post is up! Hop over here to read more about the fun-filled Mini Club activities, see more pictures of the beautiful beach and watch a clip of the girls dancing to the famed Crazy Signs dance! Disclosure: This is Part I of a two-part series of conversations between Club Med and A Happy Mum. 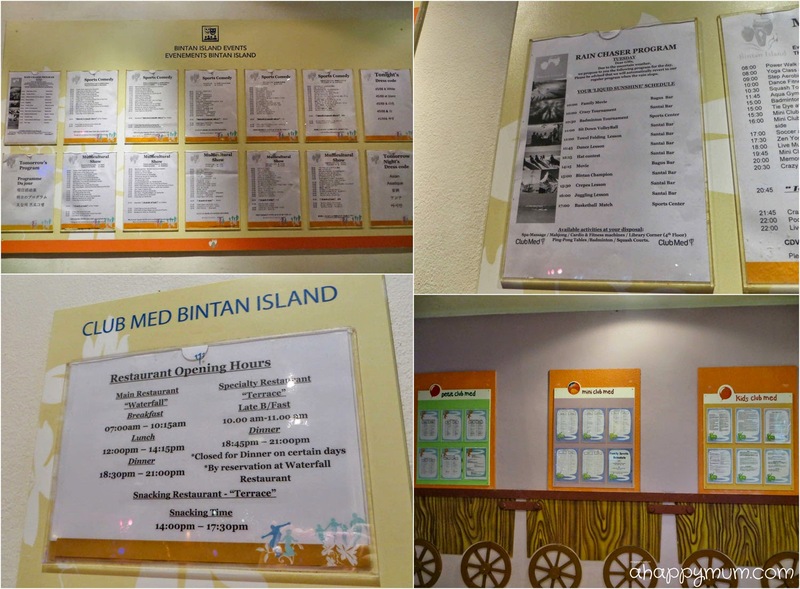 We were sponsored a 3D2N resort stay in Club Med Bintan Island in writing this review. All opinions are our own. Awesome trip for me : ) Splendid short getaway trip - even for romance hunters too. I totally enjoyed the free flow drinks, at any time anywhere ; ) Oh, and i tried the circus act for the first time of my life too. if we had stayed longer, i would definitely bring my gals to more sports activities. thanks dear : ) i enjoyed myself and i am so proud to see our dancing queens enchanting everyone. 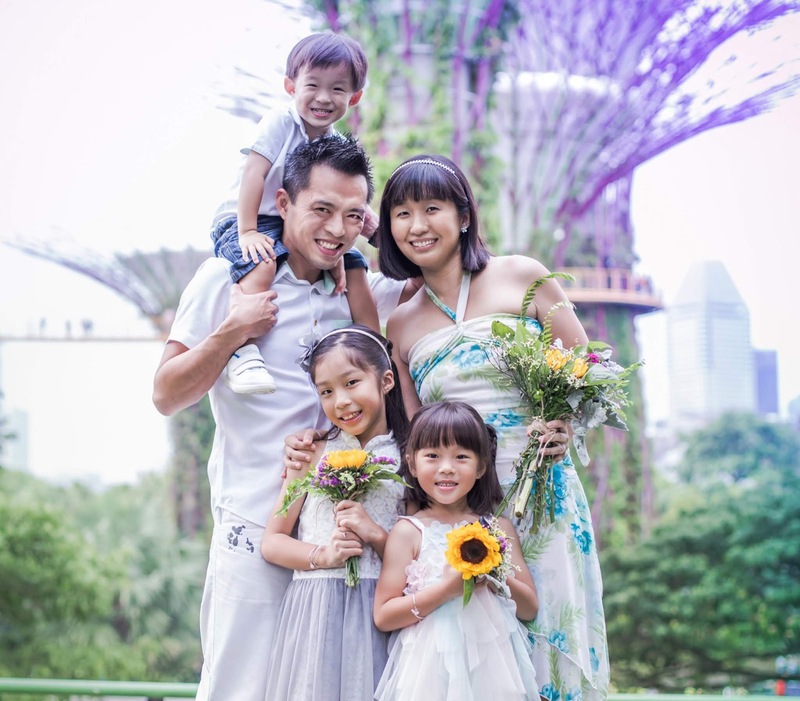 well done my baby gals and lovely wifey : ) Jiayou! Yes! I think couples should come here before they have kids too, it will be great to relax and just chill out. I wish we could have done more water sports too but guess what, there's always a next time! =) The dancing queens were awesome, they will definitely remembered by all the GOs and everyone who showed them so much love! We went to its Guilin property in Sep. It was just breathtaking! Then it must be Cherating! Cools! Your photos are lovely... It's my dream to go club med with my family too. 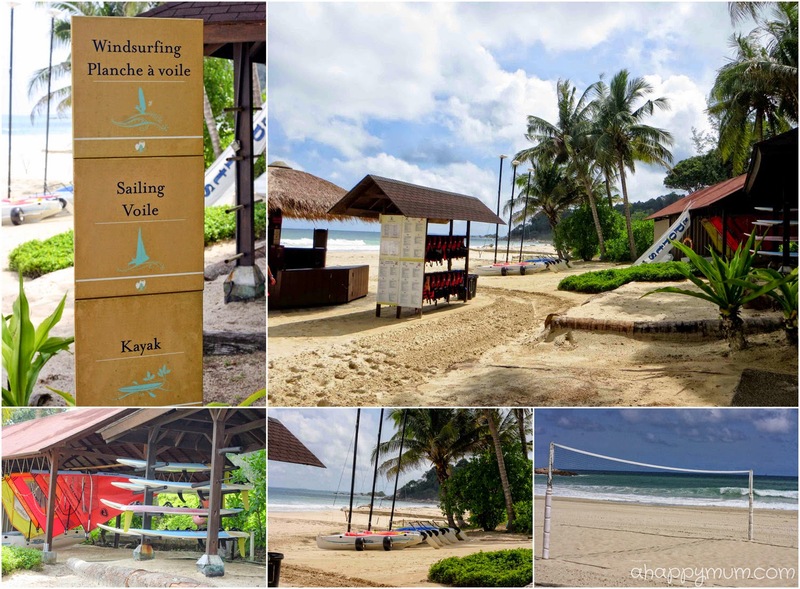 Is it club med cherating beach in Malaysia? Looking forward to your next post on the mini club activities. Thanks! 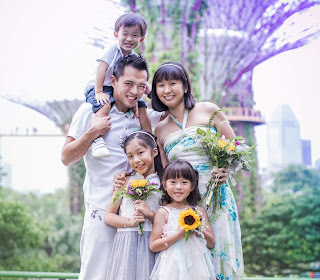 =) Yes, Club Med is an awesome family holiday destination, at least we think so! 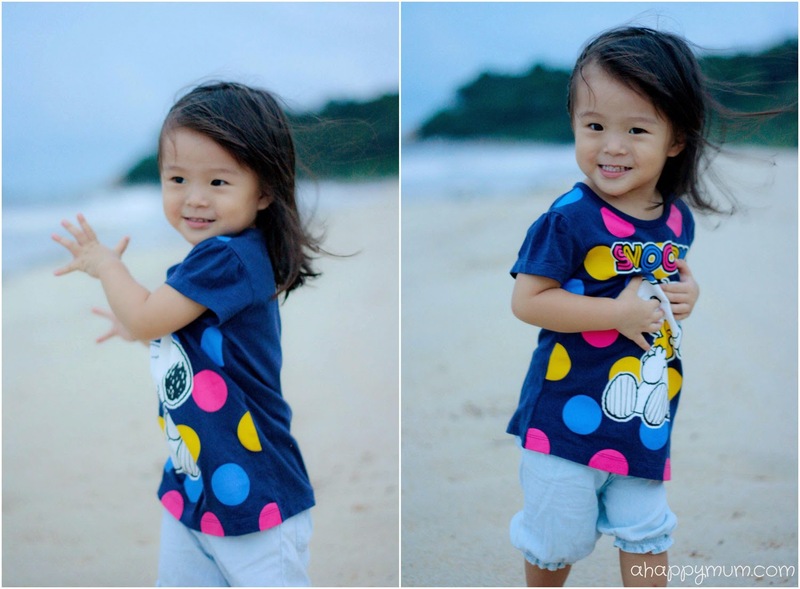 =) Yes, you are right, it's for Club Med Cherating Beach and I hope to get the post running this week, so do keep an eye out! Wow wee! Looks like you had an amazing time, Summer! The room looks gorgeous and the food tray for the kids! What a great idea! Wow that swimming pool eh? Oh I can't think of a better family than yours to enjoy this break! Hooray for you, Summer! Yup, the food tray is such a smart thing to do, right? =) The swimming pool wasn't as big as we expected and we kinda liked the beach more! 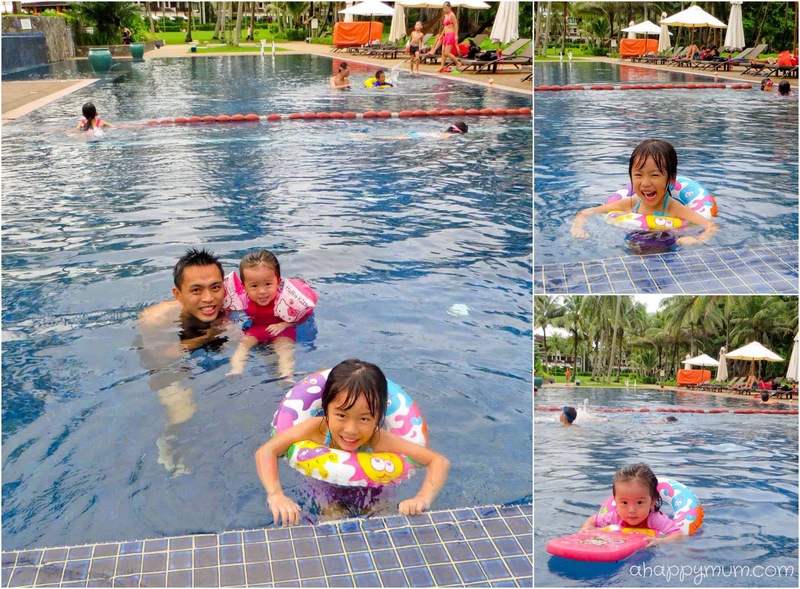 =) But yes, it was a good break from city life and we would love to visit Club Med again next time. Thanks for reading, Adora!